Andrew was great to let the night be a whisky geeks get together rather than a serious Maltman tasting. He let his whiskies to do the talking and I have to say he was also very patient throughout the entire night to answer my endless questions about the barrel selections, warehouses, distilleries, etc. Long story short we had a great time. Glenlossie 19yo (43.0%): I first tasted this beauty in Whisky Live Boston 2012 and I remember it as one of the best drams of the show. I was so excited to see the bottle on the table again. Nose: Wet cardboard boxes, plastic food containers, fresh hazelnuts and crunchy malt. Palate: Marzipan, vanilla and canned peach. Finish: Long with white pepper and polished vintage furniture. Perfectness of pure ex-bourbon aging. 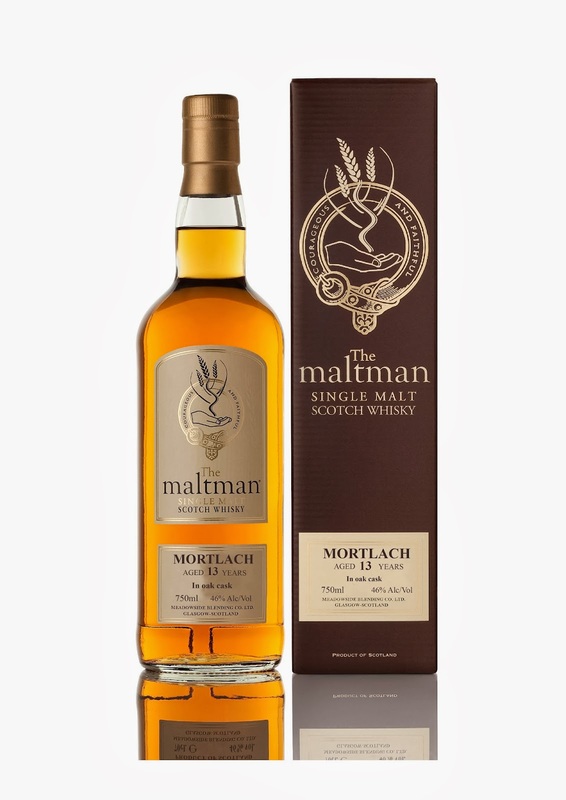 Mortlach 13yo (46.0%): This whisky is matured in Oloroso casks and shows some nice and thick legs on the glass. Nose: Bubblegum! Totally... Good old fashioned bubble gum... Freshly chopped mint leaves, whiff of smoke and burnt brown sugar. Palate: Bubblegum is still there and I am really enjoying it. Sweet and citrusy: candied orange peel and powdered sugar. Finish: Actually longer than I expected with the burn of thin baklava syrup. A rather less aggressive and calmer Mortlach. Bunnahabhain 10yo (46.0%): Exclusively matured in sherry casks. Nose: Cooked prunes, cloves and beef stew. Warm sea spray. Palate: Chewy and thick. Cinnamon, zante currants and roasted almonds. Finish: Cinnamon and garam masala. I have to say I underestimated this youngster... Unbelievably thick and matured for its age. A true young sherry bomb... Not my cup of tea but I know a lot of people would love this dram. Highland Park 11yo (46.0%): Nose: New raw leather jacket, fire place smoke, wet sand, beach walk at night. Palate: Creme brulee or creme caramel with heavily burnt top and vanilla pod scrapings. Very custardy. Finish: Long with sea salt and white pepper. A beautiful HP expression. I liked it almost as much as the Glenlossie 19yo. Tobermory 18yo: Nose: A little sulphury. I am getting sulphur from almost every spirit distilled at Tobermory Distillery but fortunately I am not as sensitive as some people are. Struck matches, fresh cut grass and lemon peel. Palate: Very vegetal. Green asparagus and dandelion leaves. Finish: Medium long and pretty dry. Thanks again to Brad Jarvis for arranging this tasty night..! Also thanks to Randall Bird, Andrew Hart and Frank Weber for great company!